Lately I’ve been thinking a lot about what it means to be a a working mum, particularly a business owning working mum. I’ve been wondering what it might be like to NOT try and cram work into school hours, to NOT have to start a day kid wrangling and end the evening much the same, to be able to just jump on a plane, stay out late for drinks, eat dinner at 11pm and/or NOT experience mum guilt. But actually, side effects aside I wouldn’t have it any other way. 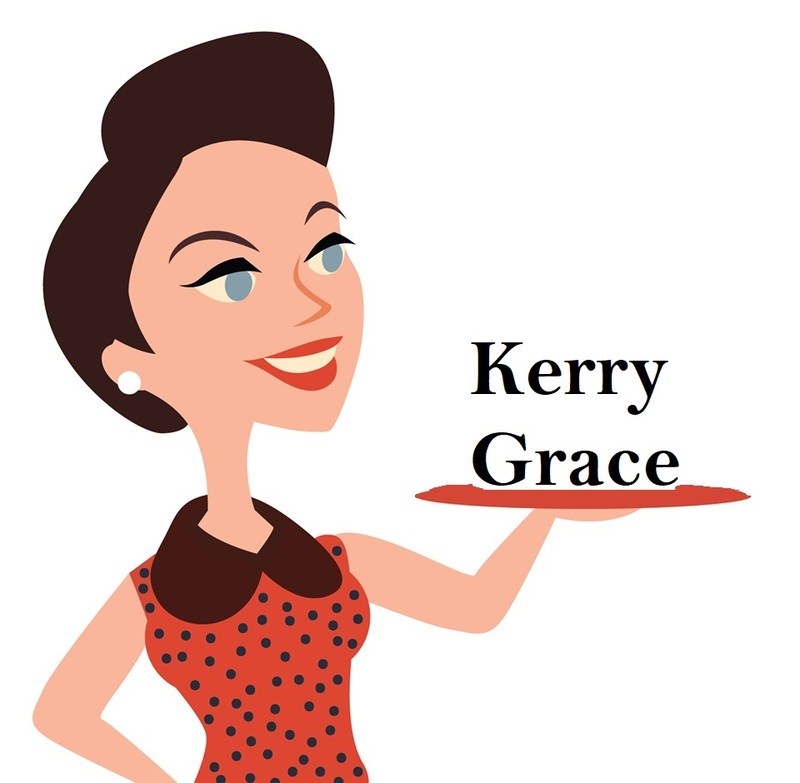 Hello, my name is Kerry Grace, I’m a working mum. I work because I love what I do. I work because it gives me a sense of purpose, fulfillment and I can create enormous change in the world. To me this is important. Being a mum who works means I can be the best version of me possible. It does not actually mean that I neglect my children, it does not mean I am unable to produce serious results, it does not mean I have set out to belittle those around me with my ‘supermum-ness’ nor does it mean I’m trying to prove anything in particular. I just like to work, I’ve been dedicated enough to discover the work I love and persistent to grow skills to thrive in it. There aren’t many hours between the school bus leaving and coming back (7.5 in fact) and while in theory that should be pretty close to a normal working day for some reason it’s just not. My hours of work are precious and I so love when my schedule goes to plan. Want to break me with one fell swoop? Aim for the working mum sore spot. I love to work, don’t get me wrong but simultaneously it’s an ongoing sense of guilt, let’s face it being ambitious isn’t something that ‘proper’ mums do. Comments about starving neglected children aren’t actually funny, expecting me to turn up for a kid activity at the last moment isn’t cool. And targeting my strength as a woman and using it to create collateral damage is just ridiculous. Sure, it’s nice to have time out but I can think of so many times when I’ve left my children (particularly when they were really little) and actually ached right down to the cellular level. Maybe I didn’t need those trips but the persistence in pursuing my education and connections sure did make life easier today. I’m not sure if it was a turning 40 thing or if perhaps I’ve become more interested in mornings but I just can’t work until 1am anymore, at least not night upon night. I love my work, I love my business but nothing is worth that zombie state, it’s over. It’s a lovely thought to grow the business exponentially and quickly but it’s just not going to work for my family. They need me, I need them. And I no longer see it as a sign of weakness to admit that. Sometimes it may seem that my focus is elsewhere and while I’m very good at paying attention to what I’m doing those little people are always in my consciousness. If there’s any room between business and family I will probably be asleep. I want and love to be with my friends but chances are the conversations will be held in the chatrooms of Facebook – I’ve learned that time must be planned and PENNED into my diary. It’s important – and the friends are prepared to wait and not sulk are so worth penning that time in for. For too many years I did nothing but serve. I now know that without something for me I will simply crumble. This is exercise and I need it on a regular if not daily basis. And if a friend (like my beautiful walking buddie) can come along all the better. Too often something goes really really right and I dismiss it because it’s just something little. The little things are important too and the more I believe that the more encouraged I am to keep going. Sometimes I just want to switch off all of the responsibility, to let my mind relax and stop making lists. But the above-mentioned things don’t help. I was very pleased to learn that. Goodness, the thought of being held to ransom in a job I hate, by rules that I can’t sit within or in lost land is too much to bear. It’s not an easy path but it sure is a rewarding one. So working mums, thought I’d turn over those little sods so you can see that you’re not alone. Sometimes it’s frustrating, some days its exhilarating but every day it’s worth it. And know that with each step your children are being inspired by you.